The sub-department of Mathematics has research groups in Applied Mathematics and Fundamental Mathematics. The research group Applied Mathematics develops, analyses and teaches mathematical methods for large scale complex systems that describe modern scientific, industrial and financial applications. The methods simulate the systems, calibrate the model parameters to measured data and optimise the control to reach given objectives. They increase the performance and reduce the computational cost. The group develops complete mathematical solutions. It develops the mathematical models in collaboration with domain experts, constructs and analyses the numerical and statistical solvers for the equations and studies the efficient implementation on high performance and parallel computers. The group has close collaborations with domain experts from the natural sciences such as biology, chemistry and physics as well as applied sciences such as financial mathematics and engineering science. There are collaborations with a variety of industrial partners. The research group will extend with this position the research in industrial and scientific applications of numerical optimisation. The research group Applied Mathematics encourages collaboration with research group Fundamental Mathematics that studies, amongst others, the analysis of symplectic dynamical systems, homological and homotopical algebra, non-commutative algebraic geometry, number theory and related topics. The research group Applied Mathematics also aims to strengthen the collaboration with other departments and faculties where mathematics is applied. The sub-department of Computer Science has research groups in data science, telecommunication and distributed systems, and software engineering. Establishing new collaboration with these and other research groups at the University of Antwerp is an asset. You will teach courses in mathematical optimisation, large-scale simulation and numerical linear algebra in the bachelor mathematics and the master Financial and Applied Mathematics. There is also limited service teaching in the Faculty of Science. You will expand the research in numerical methods for large scale continuous and/or discrete optimisation problems. You develop and analyse the methods and apply them to current industrial, financial and scientific problems. You acquire and manage national and international research funding. As member of the research group Applied Mathematics you will expand your own research topics, while participating also in joint projects of the group. You supervise bachelor, master and PhD students. 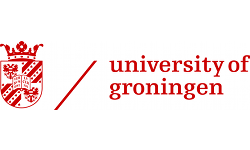 You strengthen the links between the sub-department of Mathematics and other departments and faculties within the University of Antwerp as well with companies. You will offer service to department and Faculty of Science by participating in, amongst others, the educational board of Mathematics and the departmental council and similar. You hold a doctorate degree (PhD) in Mathematics, Mathematical Engineering or equivalent. Your research excellence in optimisation is illustrated through scientific publications in mathematical journals with high impact, international collaborations and participation and organisation of conference and workshops. A track record of valorisation of research results through industrial research projects, spin-off companies or patents is an advantage. You have a proven track record in obtaining research funding both for fundamental and applied research. As a course unit coordinator/lecturer, you can demonstrate that you master the language of instruction at the CEFR level C1 before the start of the course. As a course unit coordinator/lecturer, you also master the language of administration, Dutch, or you are willing to gradually learn the language up to the CEFR level B2. The University of Antwerp supports international staff members by offering them an integration programme and provides adequate language tracks for course unit coordinators/lecturers within the framework of the Flemish statutory language regulations. 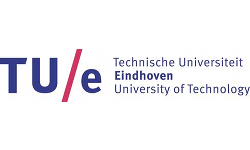 For questions about the profile and the description of duties, please contact Prof. Karel in 't Hout (karel.inthout uantwerpen.be), spokesperson of the research group Applied Mathematics or Prof. Wim Vanroose (wim.vanroose uantwerpen.be), chair of the Department of Mathematics and Computer Science.